Designated by the Executive Power in august 2004, according to article 22 of the Law 8-90, Mrs. Luisa Fernández Durán is in charge of The National Free Zones Council of the Dominican Republic, as its Executive Director. Mrs. Fernández holds a bachelor degree in Economics with honors from the University of Santo Domingo (UASD). Account with a master in Fairs and Exhibitions from the Brazilian University Getulio Vargas, as well as a master in Commercial Negotiations from Georgetown University and a specialty in International Trade, from Geneva, Switzerland. Also, has participated in many courses and seminars in the national and international scope. In the past, Mrs. Fernández has evolved as a consultant in the areas of Economics and Finance. 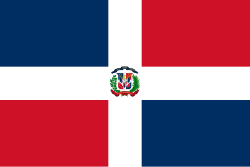 During 1996-2000 was appointed Vice-minister of the Ministry of Industry and Commerce of the Dominican Republic. For more than ten years she carried out diverse positions in the Dominican Center for the Promotion of Exports (CEDOPEX), standing out as head of the Promotion and Investments Department.